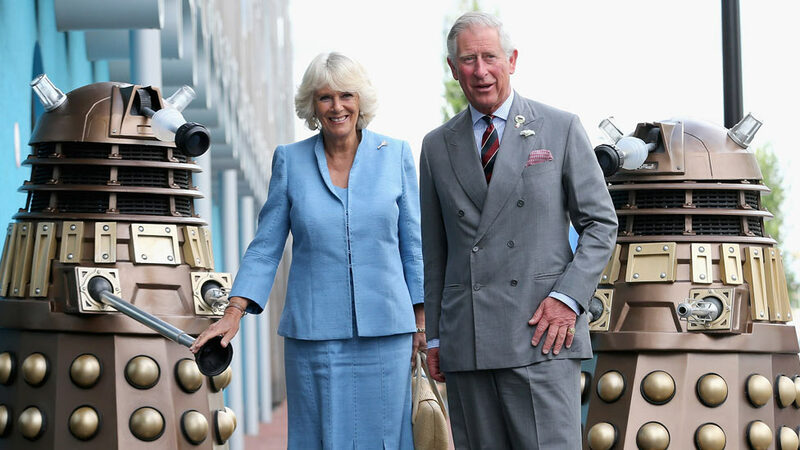 The Prince of Wales and The Duchess of Cornwall today visited the home of Doctor Who, Roath Lock studios in Cardiff, as part of the 50th Anniversary's celebrations. On arrival they were met by Rhodri Talfan Davies (Director, BBC Cymru Wales), Danny Cohen (Director, BBC Television), Faith Penhale (Head of Drama, BBC Wales & Executive Producer, Doctor Who) and Clare Hudson (Head of BBC Cymru Wales Productions). 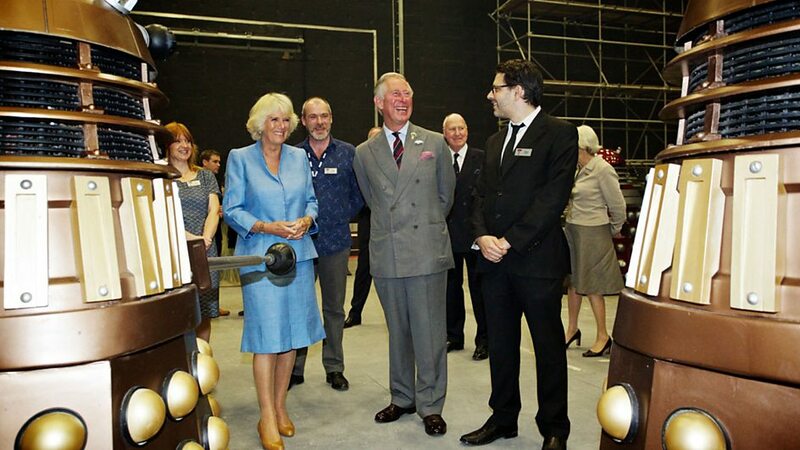 The visit began with a trip to Doctor Who’s production office where The Prince of Wales and The Duchess of Cornwall were introduced to members of the team including Brian Minchin (Executive Producer) and Michael Pickwoad (Production Designer). 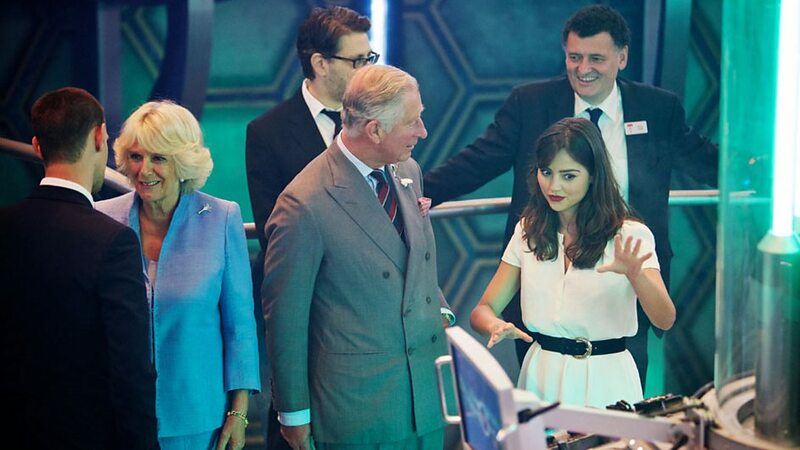 A trip to the TARDIS was next on the agenda where the royal couple were introduced to Steven Moffat (Executive Producer and Lead Writer), Jenna Coleman (Clara) and Matt Smith (the Doctor) who gave Prince Charles and The Duchess of Cornwall a quick lesson in how to fly the TARDIS! Back on Earth it was time to meet the monsters! 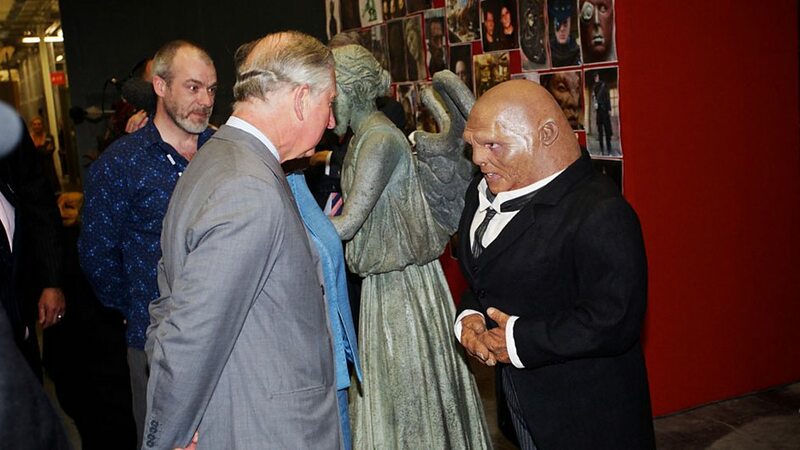 Prince Charles and Duchess Camilla were introduced to Strax the Sontaran - in other words, Dan Starkey in full costume and make-up. 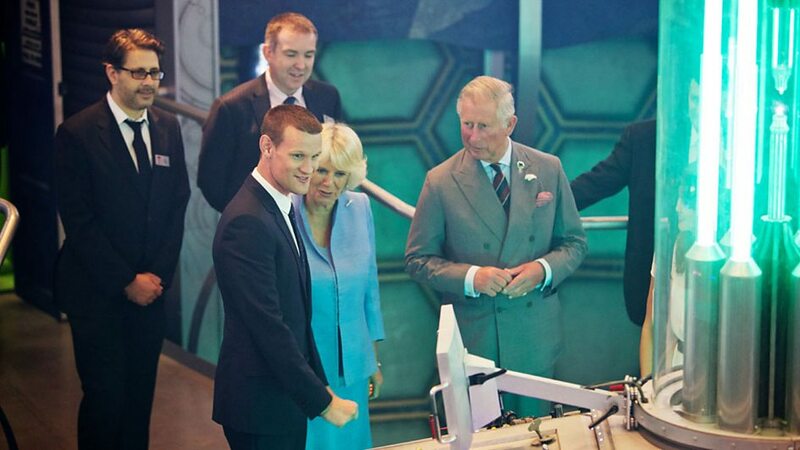 There were Weeping Angels, Ood and various alien masks on show but a highlight of this section came when Prince Charles and The Duchess of Cornwall met and chatted to a Dalek. The brilliant Nicholas Briggs was initially hidden behind the scenes to ad lib the interview and was then introduced, explaining how he created the distinctive voice patterns of the Time Lord’s oldest foes. Another demonstration followed with special effects supervisor Danny Hargreaves showing the royal couple the ‘speederbike’ from The Rings of Akhaten and explaining – with the use of greenscreen - how it achieved its fantastic onscreen appearance. 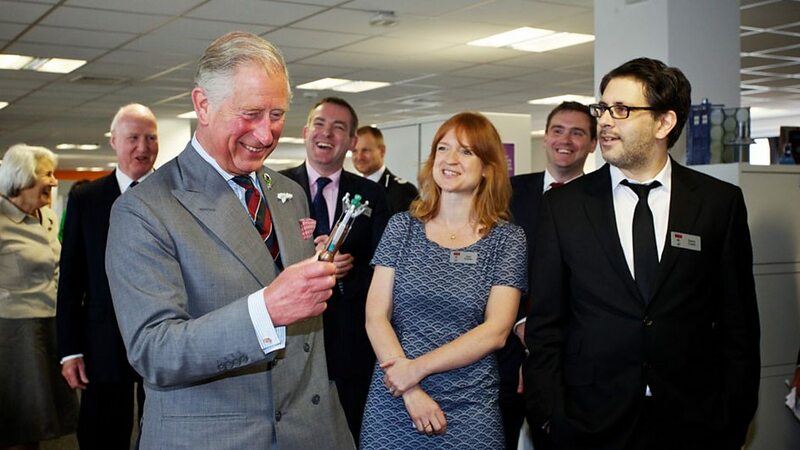 Prince Charles and The Duchess of Cornwall then met and talked with several Creative Skillset Cymru apprentices who are training at Roath Lock in a number of TV functions. They also discussed how BBC Cymru Wales’ Roath Lock studios employ the latest methods to ensure sustainability and an eco-friendly approach to television production. 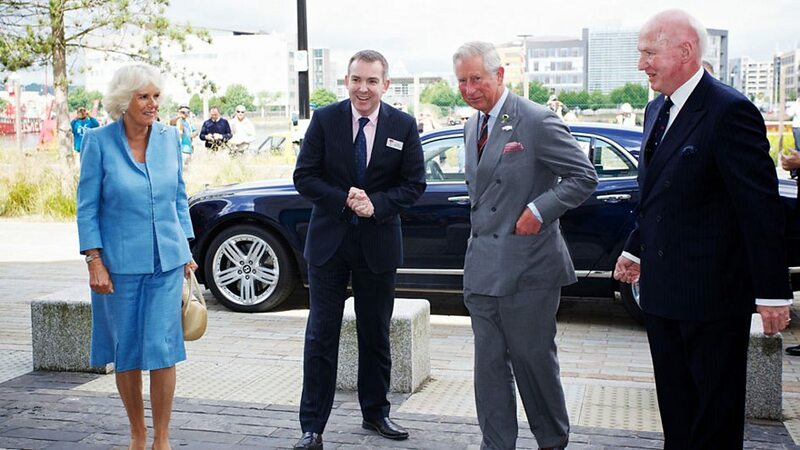 The visit lasted approximately an hour and a crowd of well-wishers gathered to wave and cheer Their Royal Highnesses as they left the studios. 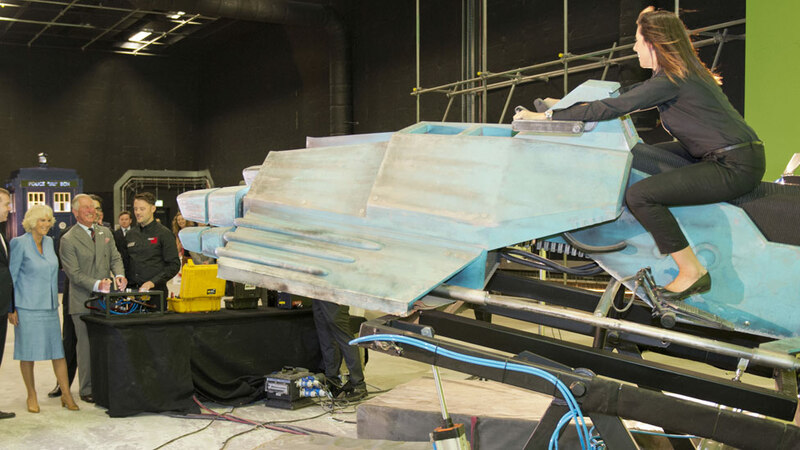 It is expected that the BBC will upload more footage of the visit to the official Doctor Who site soon. You can see two galleries of the visit on the BBC's Doctor Who page here, and the BBC's news page here, where they contain slightly different images, though I have used the best ones here.